“The Canadian biologist Boris Worm puts it this way: If all creatures on land were to die tomorrow, life in the ocean would be fine. If all creatures in the ocean were to die tomorrow, life on land would die as well. We air-breathers are fully dependent on marine life for keeping us alive, not least because sun-feeding plankton still produce every second breath you and I are taking now”. Eight years ago, my friend Alanna Mitchell, author of the international bestseller Seasick shared her research and images of plankton with me. I had no idea that these beautiful microscopic creatures with their stunningly ornate shells and delicate lace-like forms created more than half the earth’s oxygen and that they are being threatened by ocean acidification caused by carbon emissions. Inspired, I painted the INHALE series depicting plankton as no longer invisible but instead, lively colourful creatures interacting with fish and plants in the ocean. 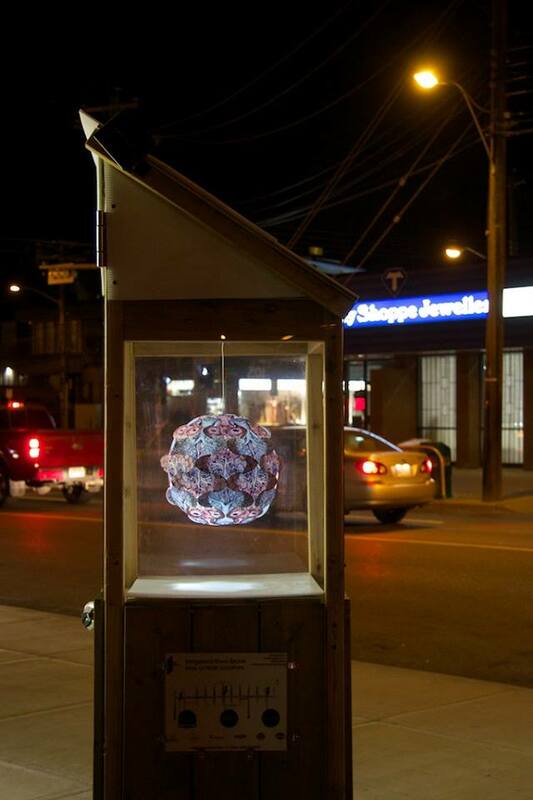 Lynchpin featured artist Eveline Kolijn completes the connection – so far! 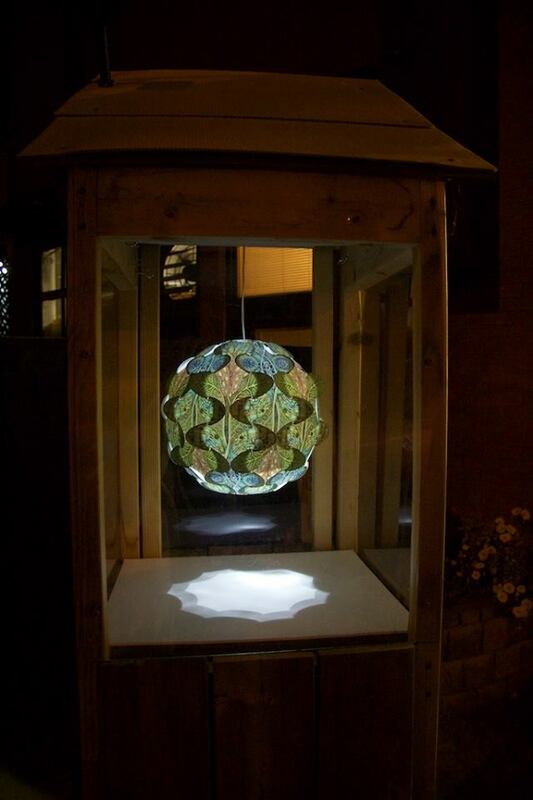 Here are Eveline’s Breath of Life series – presented in a previous blog – now illuminated on a Calgary evening!